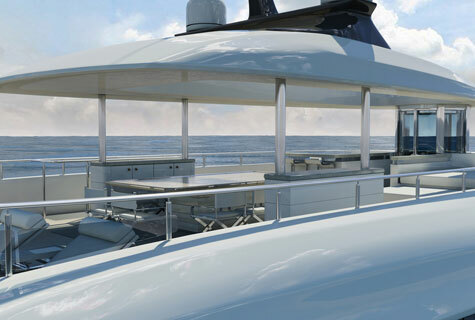 The more stable catamaran configuration combined with the abundant interior space, and features such as the hydraulic lift platform and panoramic vision make our yachts more suitable for passengers with reduced mobility. 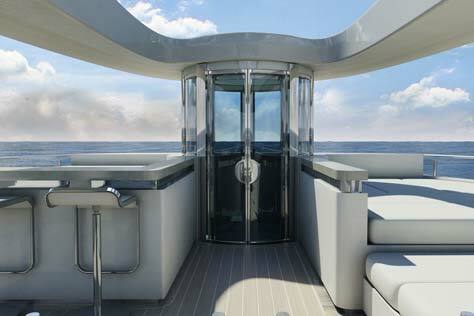 Using an electric wheelchair/scooter and stair walker, one could access many of the passenger areas on board. 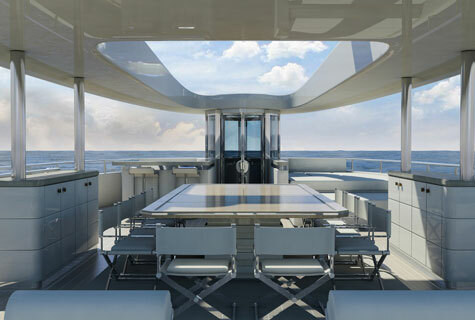 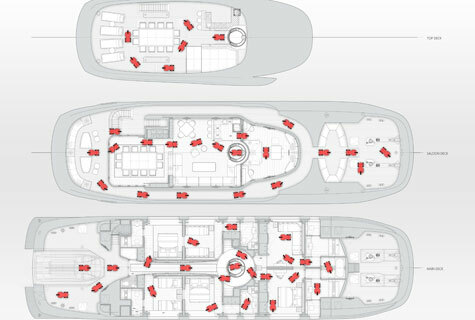 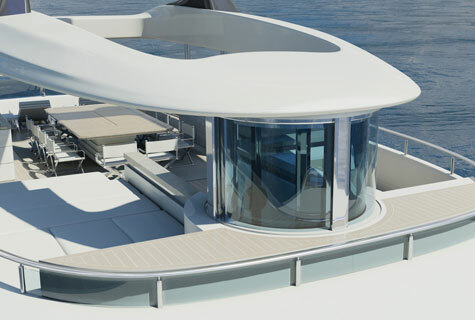 Depending on the degree of reduced mobility, an internal elevator may be required, which can be fitted in lieu of the central staircase and flybridge Jacuzzi on a customised Curvelle quaranta.